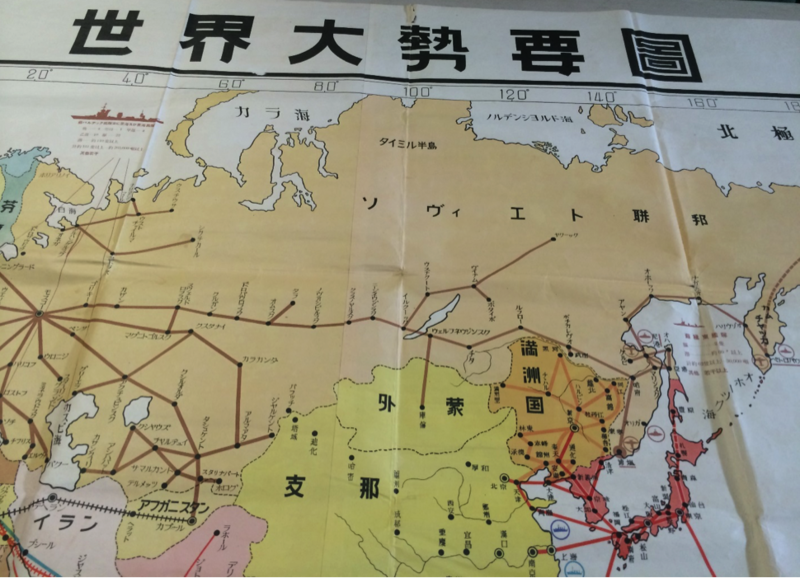 Published May 1939 by Ministry Of Navy, Division of Naval Knowledge Diffusion . 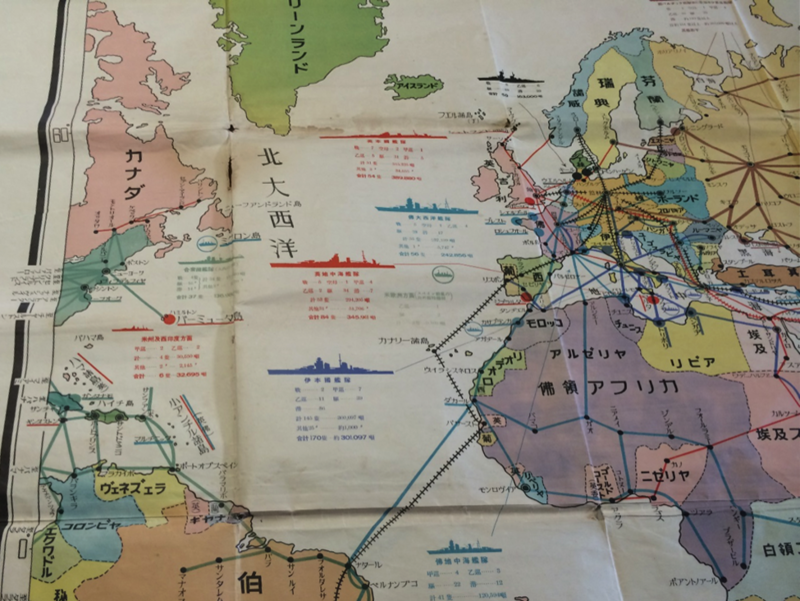 The map measures 58 x 78 inches- Shows Table of Naval Powers with flags represented USA, UK, France, Italy, Germany, and the USSR. 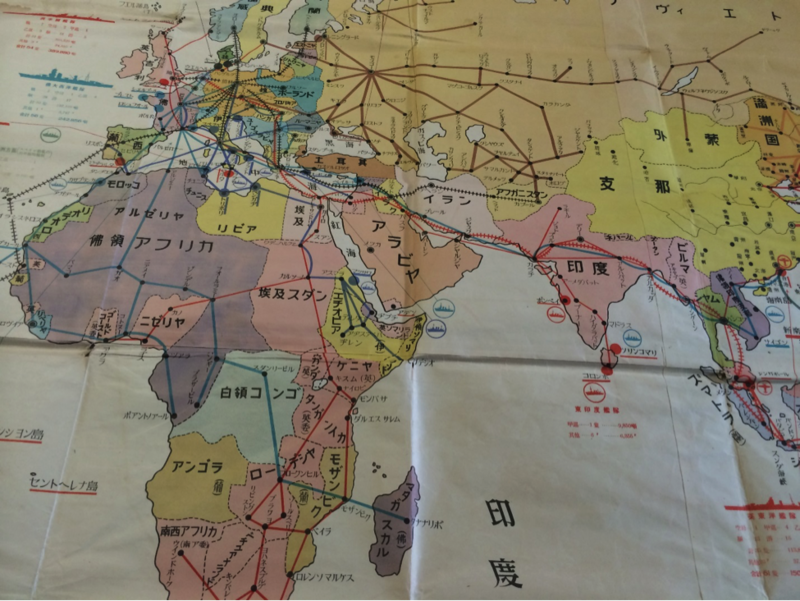 The map has pencil markings on the back noting mathematical calculations.